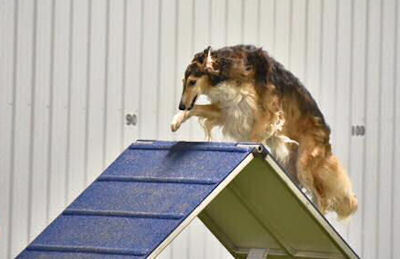 March 23, 2019, Joy finished her Novice Agility Preferred Jumpers titles, in 3 trials. 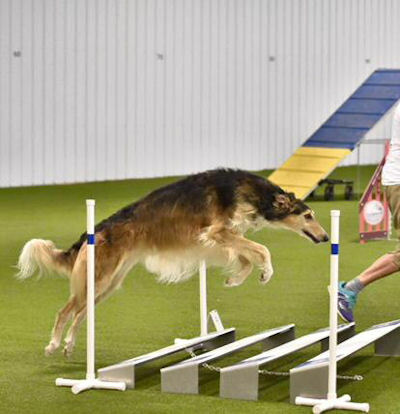 March 9, 2019 Joy earned her second leg for her Beginners Novice title, and her first leg for her Rally Excellent title. August 6, 2018, Joy finishes her Novice Agility Jumpers (NAJ) title. 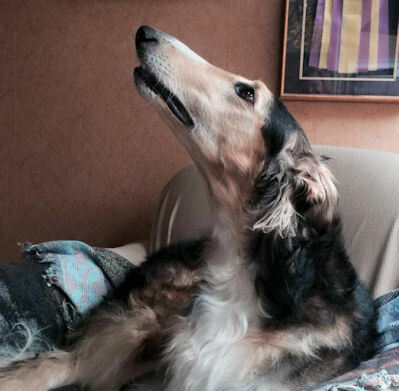 Joy also has earned 2 legs towards her Novice Agility Standard title. August 18, Joy finished her Rally Advanced (RA) title in 3 trials with 3 Qs. January 22, 2017, Joy wins a 5 point major, Best of Breed over 2 specials, and a Owner-Handled Group 2, to finish her Championship. April 7, 2017, Joy earns her first leg for her Rally Advanced title. Joy earned her Rally Novice title May 21, 2016 with scores of 98, 97 and 98. 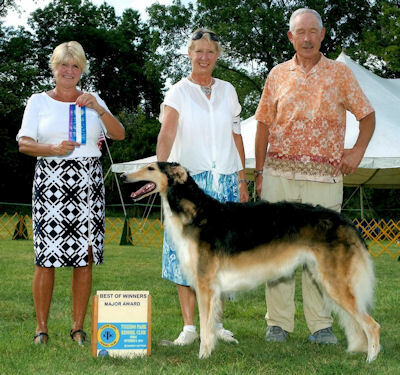 September 9, 2016 Joy won a 3 point major from the Bred-By-Exhibitor class (pictured above). November 20, 2016, Joy wins her second major, owner handled by Chris. December 4, Joy wins 2 points. December 9, Joy wins 2 points. December 10, Joy wins her third major giving her 13 points, 3 majors. 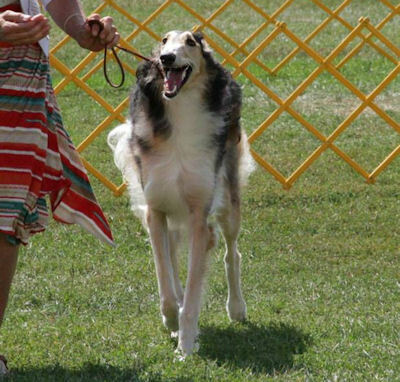 At the 2016 Borzoi Club of America National Specialty, Lawrence Kansas: In the Rally Novice B class of 20 borzoi competing, Joy won first place with a score of 98. 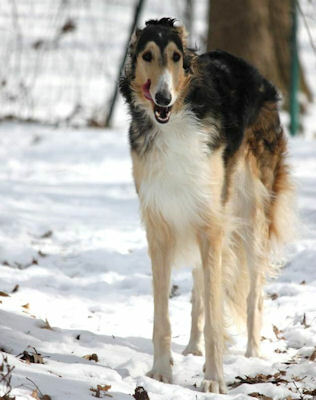 In her Futurity class, Joy won third (with her littermates winning first and second placements). 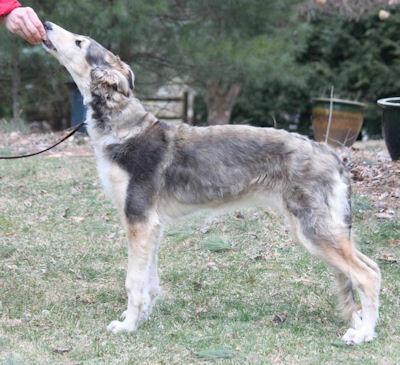 In her Puppy Sweepstakes class, Joy won second in the 15 - 18 month class, with 10 shown. Breeder-owner handled by Chris. 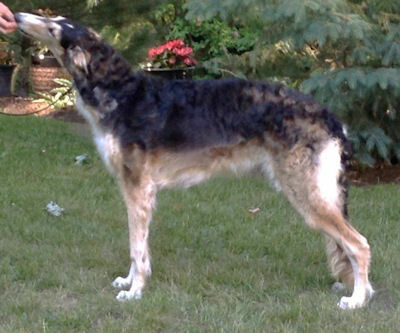 "Joy" is pictured below at 14 months. Joy is pictured above at 9 months and below at 6 months. 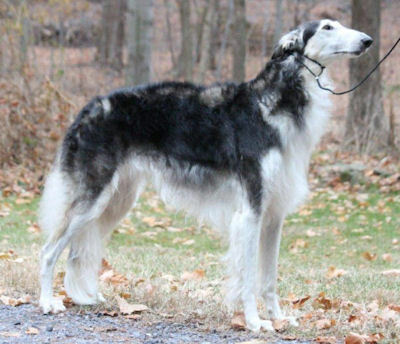 Joy won Best In Sweepstakes at the Potomac Valley Borzoi Club specialty show September 27. Littermates: Hemlock Hollow Aruzia Midnight Journey "Victoria"